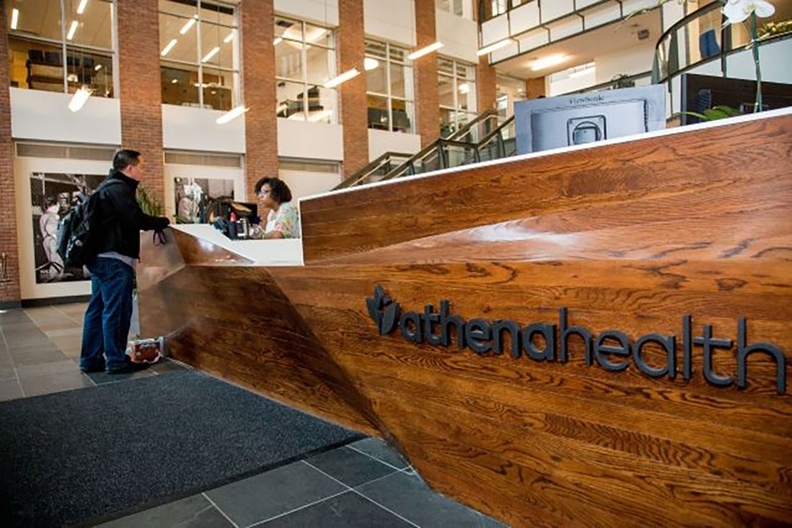 After a round of substantial layoffs, Athenahealth saw a fourth quarter with "strong profitability," the company announced Friday in an earnings call. But the company missed its bookings goal in 2017, in part because there are fewer government incentives driving the adoption of electronic health records, according to Athenahealth CEO Jonathan Bush. He doesn't expect MACRA and MIPS to drive market activity. "It's just not going to move the needle," he said. Instead, he expects companies will make EHR investments based on financial pressure to reduce administrative costs. Bush said Athenahealth is undergoing a "metamorphosis," reflected in its latest earnings. "We need to do a better job driving demand for our services, enhancing our product fit, and improving customer satisfaction and retention." Part of the metamorphosis was the layoffs. In October, the cloud-based EHR vendor announced layoffs of 9%—about 400 employees—of its workforce as part of an "organizational redesign" to streamline its structure. That redesign will save the company $100 million to $115 million, Bush said last fall. In 2017, Athenahealth had revenue of $1.2 billion, with $329.2 million in revenue in the fourth quarter alone, up 14% over the same quarter in 2016. Bookings were $293 million in 2017, down nearly 16% from $348 million in 2016. Bookings reflect commitments for future business with Athenahealth. To increase bookings, Athenahealth is focusing on becoming a national network that provides services to its customers. The company is "deepening" the services it offers, Bush said, so users will be able to get a greater and faster return on investment by switching to Athenahealth. That approach will have significant effects during 2018, he said. Such services are essential because of what healthcare economics have become, Bush said. "The economics of medicine just do not support individual craft brewing of the back office of medicine," he said. The vendor is also trying to improve the customer service and user experience. It released its first machine-learning model in 2017, which automates how faxes are processed. "We're going to grow," Bush added. "We're going to keep growing." Athenahealth stocks shot up 14% Friday.